One of the most long-standing valve suppliers in Scotland, BM Engineering provides a wide range of valves across Edinburgh. We have been supplying valves across Scotland and the UK for more than 40 years and have worked with a large range of partners to source only the very best instrumentation in Edinburgh. BME provides valves for various company sizes. We work with blue chip companies all the way down to small contractors. So, whether you need a non-return valve, butterfly valve or a batch of globe valves in Edinburgh, BM Engineering can provide you with the ideal solution. BME offers a range of actuated valves, global valves and non-return valves to a number of industries across the city. Globe valves are used to control pressure, temperature and humidity under a range of circumstances. They are often used for steam applications and help to regulate the flow of steam and gases via a moveable plug and stationary seat. There are three basic types of globe body valves, such as Wye, Tee and Angle. As one of the leading actuated valve suppliers in Edinburgh, BME is proud to offer a collection of high quality brands in our portfolio. Actuated valves from Bürkert include rotary and linear actuators, which are controlled either pneumatically or electronically. These branded valves are some of the best in the industry and come with the high-quality craftsmanship that you would expect from this big name. Other prestigious valve manufacturers supplied by BME in Edinburgh include Maxair. Maxair pneumatic actuated valves offer a range of cost-effective solutions which are suitable for even the most complicated flow requirements. Maxair actuated valves have a unique, adjustable dual-travel stop, that provides the greatest degree of control in the industry. BME provides valve supplier services across numerous engineering industries throughout Edinburgh. We serve the brewing, dairy, food and beverage, pharmaceutical and renewables sectors. Each industry requires a slightly different approach to their actuated package and BME has the capability to serve each sector. The brewing industry has seen a high influx of activity in recent years, due to the popularity of craft ales. Bürkert has been on top of this, cultivating brewery-specific valves and applications to ensure a smooth automated brewing process. The dairy sector also requires careful automation. BME is proud to be part of a leading network of valve suppliers in Edinburgh and the surrounding areas, specifically for the city’s dairy industry. 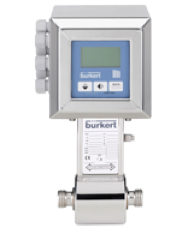 The Bürkert type 8640 valve unit offers complete, end-to-end process management for the dairy industry and features rows of pneumatic modules which allow various valve configurations. At BME, we provide only the very best globe vales and non-return valves across Edinburgh. We understand that your engineering business needs consistency and smooth, fluid processes. We have developed excellent relationships with our brand partners and are proud to work with Valsteam ADCA, Bürkert, Inoxpa, Leengate Valves, Orbinox, Max Air Technology, Unitech SRL and Zwick Armaturen – some of the most prestigious valve companies in the industry.